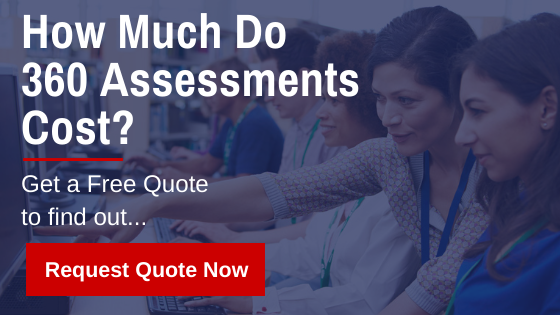 There are several ways to approach the issue, but 180 and 360 leadership assessments are among the most common appraisal types. Understanding the differences and when each is most appropriate is key to getting the most out of your leadership assessment program. What Is A 180 Leadership Assessment? Like a straight line, a 180 leadership assessment goes two ways. First, it takes into account the feedback provided by the employee's direct manager, specifically in relation to their ability to lead others. Second, a 180 leadership assessment will also look at the employee's own perception of their leadership abilities. This is typically done by having the employee fill out a self-assessment worksheet. By comparing the manager's view on an employee's leadership ability with the employee's own estimation of his skills, both sides are able to get a more complete picture of the employee's aptitudes and potential for effective leadership within the organization. In essence, a 360 leadership assessment encompasses everything that a 180 assessment does while adding new elements: feedback from direct reports, peers and internal or external clients. In other words, a 360 leadership assessment looks to ascertain the employee's leadership skills from all angles in order to obtain a full picture of the individual's leadership potential. Peers can help assess the employee's ability to communicate with other areas of the organization (an important leadership skill), while subordinates can speak to the individual's skill at providing effective motivation, setting measurable and attainable goals, and giving helpful feedback. Clients, whether other groups within the organization or external customers, can also shed light on key leadership qualities such as the employee's problem-solving skills, communication ability and general composure under pressure. Keep in mind that because a 360 degree leadership assessment tries to provide a holistic view of an employee's leadership ability and potential, missing feedback from any one area can result in a less effective evaluation. Neither type of leadership assessment is appropriate in all circumstances, and understanding the pros and cons of each is an important step to deciding which is right for your assessment purposes. The two most important areas to consider when comparing the two leadership assessments are the breadth of feedback offered and the relative costs. First and foremost, it's important to note that either a 180 degree or a 360 degree leadership assessment is better than the common alternative: leaving the employee to seek feedback on their own and putting the organization in the position of having to guess at the employee's leadership skills. However, the scope of feedback offered by each type of leadership assessment is significantly different. A 180 leadership assessment offers a valuable but narrow view of the employee's leadership skills. Self-reflection and manager feedback are certainly critical elements, but others (particularly direct reports) are often in the best position to evaluate leadership effectiveness. In this way, a 360 leadership assessment can generally offer a much clearer picture of an employee's leadership strengths and the areas in which they might need further training and development. On the other hand, this breadth of information does come at a cost. Soliciting feedback from so many different groups as required in a 360 leadership assessment can be time-consuming, and keeping the process confidential becomes more difficult with a larger number of people involved. What's more, feedback can become muddled with a greater number of voices, potentially reducing the clarity of the assessment. With a 180 leadership assessment, gathering data can be quick and private, and compiling a report on the employee's leadership qualities is relatively low cost. Ultimately, how invested your organization is in identifying and developing leaders will play a key role in determining which type of assessment is right for you. A large organization with many layers in its structure that’s focused on retaining and cultivating leaders, for example, might benefit from the relatively more complex system of 360 degree leadership assessments. It's also important to note that neither leadership assessment is right for all individuals. Imagine a high-level executive with several layers of reports underneath her and extensive direct interactions with clients and customers. A 180 leadership assessment would provide some important information, but big parts of the overall picture would be missed by omitting feedback from peers, subordinates, and customers. On the other hand, a promising young employee who seems to embody critical leadership skills but is still in an entry-level position might not benefit from a 360 degree leadership assessment. And, indeed, such an assessment might prove to be a waste of both employee and employer time and resources. After all, if an employee's place in the organizational structure means that they have no direct reports and little client interaction, these sources of feedback will be unhelpful or non-existent. In this case, a 180 leadership assessment may provide the most valuable information on the employee's potential for assuming a leadership role at the least expense. Often, organizations can benefit from taking an individualized approach to employees as much as possible and utilizing both forms of leadership assessment. In this way, you can take advantage of the benefits of each assessment and put them to work for your organization and your leaders.